Bake your cupcakes. 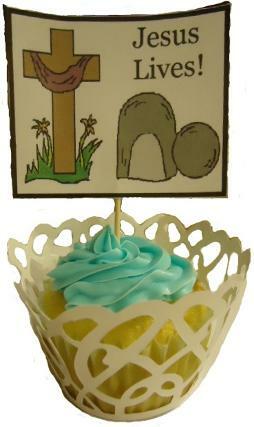 Use some blue Wilton Betty Crocker sky blue frosting on top of the cupcake. 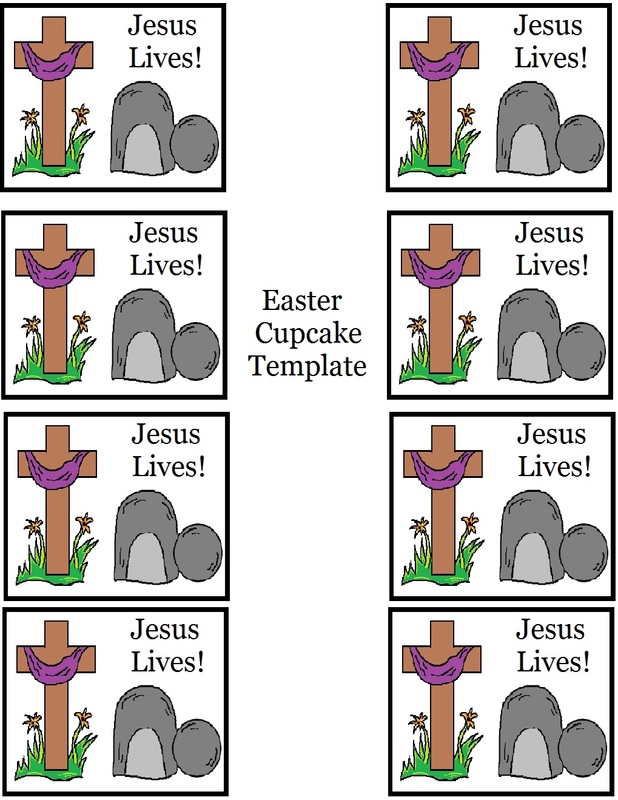 Print off Jesus Lives template and cut them out. 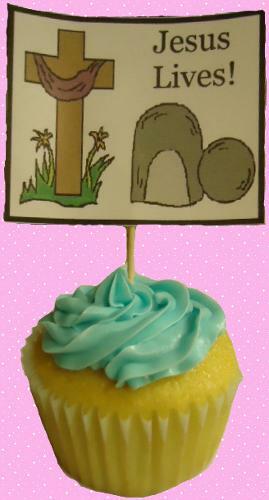 Tape to a toothpick and stick down in the cupcake. Add a cupcake wrap around the cupcake for an extra touch if you want.